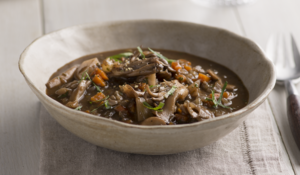 Put your pressure cooker to good use with this homely stew recipe. 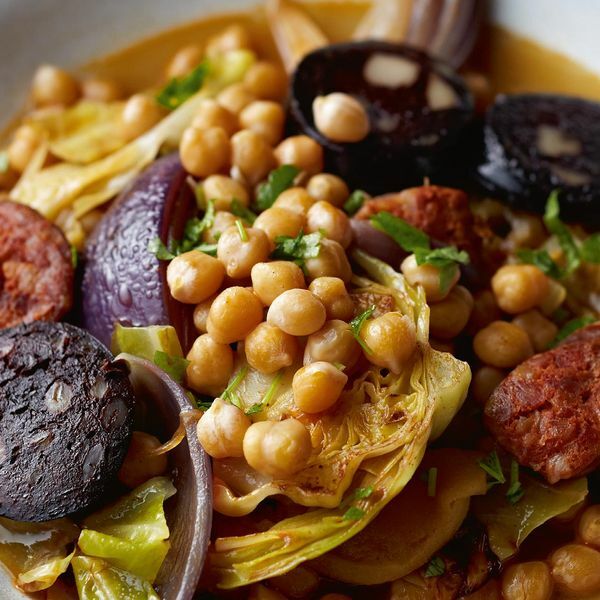 The simple recipe mixes chickpeas with smoky chorizo, black pudding, cabbage and apple. 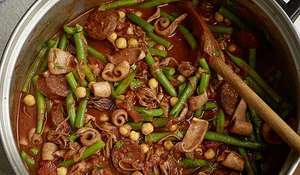 This is a sweet, spicy stew for cold winter days. 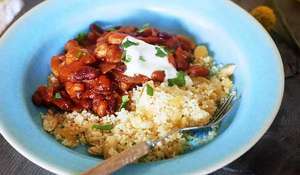 It is almost impossible to overcook chickpeas. They always stay firm enough when added to curries and soups and still absorb flavour. I always keep some ready-cooked. I cook 500g at a time and keep them in the freezer so that I can add handfuls to anything that needs bulking out – or simply to make a quick salad. They are especially good warmed through with garlic, spinach and lemon and served with some slices of sausage. 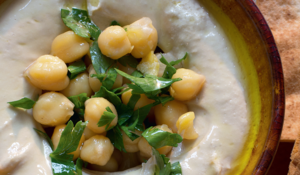 If cooking unsoaked chickpeas, I would suggest 28–32 minutes at high pressure is sufficient, depending on how much more cooking time they will get in the respective recipe, but no harm will be done if you exceed this a bit. Soaked chickpeas need more care. Cook for no more than 20 minutes, 18 should suffice. First cook the chickpeas. 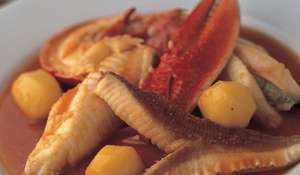 Put them in the pressure cooker with the bay leaf and ½ teaspoon of salt. Add the water to the halfway mark, pour in the vegetable oil and close the lid. 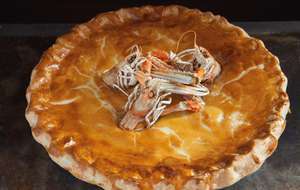 Bring to high pressure and cook for 20 minutes if soaked, 32 minutes if not. Allow to drop pressure naturally. 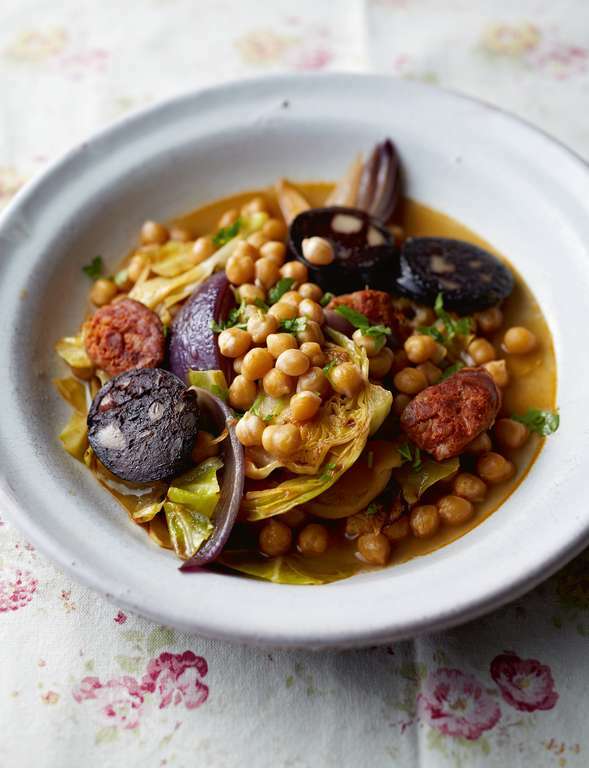 Meanwhile, heat the olive oil in a frying pan and add the cooking chorizo. Fry on both sides, then remove and fry the black puddings. Remove these too, and drain off most of the fat that will have been released from the chorizo. Return the frying pan to the heat and quickly fry the red onion and white cabbage, until they start to take on colour but retain their bite. Finally, fry the eating apple for 3 minutes and reserve. When the chickpeas have finished cooking, drain, reserving the cooking liquor, and return to the pressure cooker. 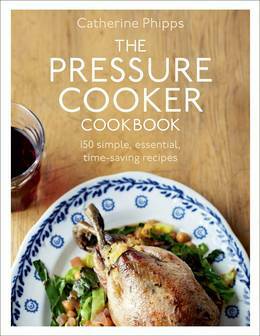 Add everything else to the pressure cooker, including the reserved cooking liquor, except for the black puddings and apple. Season. Bring to high pressure for 2 minutes only, then fast release. Add the black puddings and apple, then simmer for a minute or two. Serve in large bowls with a sprinkling of chopped parsley.